Putco Luminix Flush Mounts & Block Lamps UNIVERSAL - Dezod Motorsports Inc - Home of the automotive performance enthusiast since 2002.
feature Nichia 5W LEDs, and focus lenses that concentrate the light beam path. 15 degree focus lenses with output from 1200LM to 27,600LM. 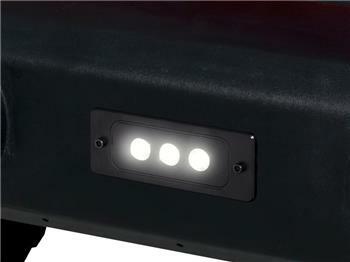 Putco Luminix – Manufactured and Assembled in USA by Putco. High Quality NICHIA LEDs to accomplish high LUMEN output with 5 Watts per LED. IP69K rated for Dust and Moisture protection.